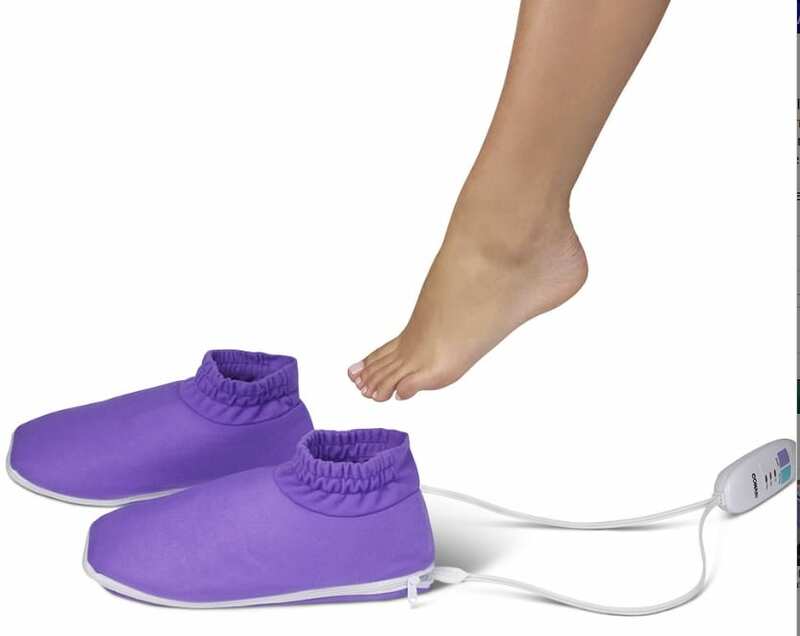 These are the booties that help alleviate dry skin by using heat to allow a deeper absorption of moisturizing lotion. Simply apply your preferred existing moisturizer to your heels, soles, or toes and slip on the ultra-plush booties. Using three heat settings from 110° F to 145° F, the booties open pores on your feet, helping a moisturizer or lotion penetrate deeply into the skin.